Almost immediately, the strong GDP report sparked debate as to whether it was a one-time shot. 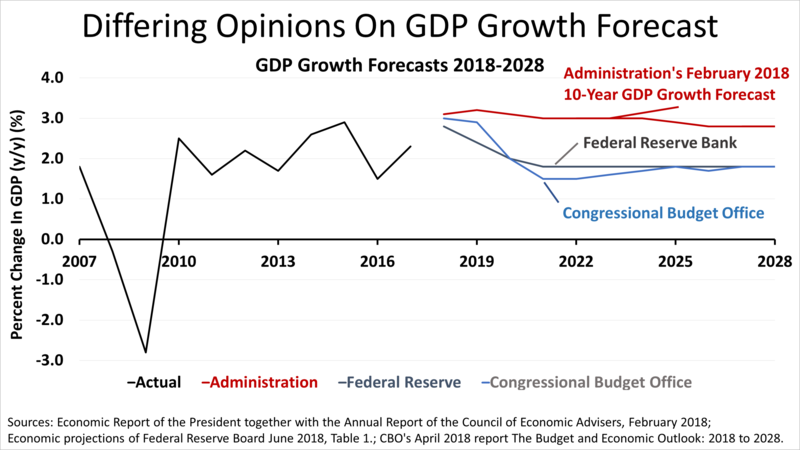 This chart shows the Trump administration's forecast for GDP growth versus forecasts from the non-partisan Congressional Budget Office and the U.S. Federal Reserve. 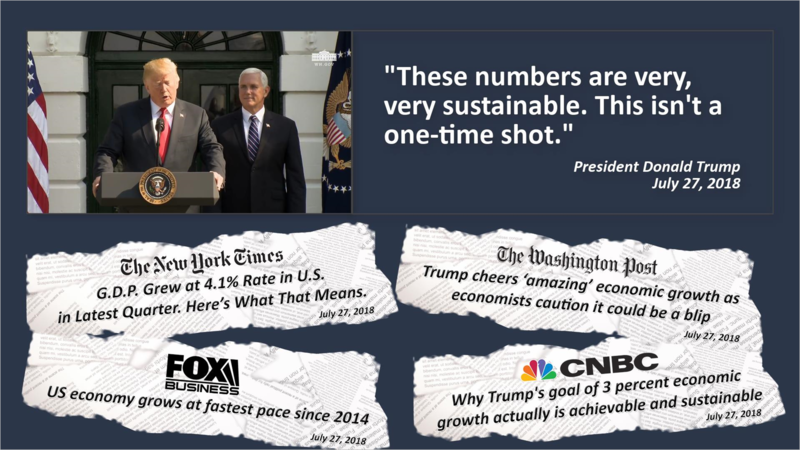 The difference between the Trump administration's growth forecast and those of the CBO, Fed, and private economists surveyed in The Wall Street Journal is explained by differing opinions about supply-side economics. Most economists remain skeptical of the economic benefits that will result from the recent cut in federal taxes. This article was written by a professional financial journalist for Integrated Financial Management LLC and is not intended as legal or investment advice. Securities offered through Securities America Inc. Member FINRA/SIPC and Advisory services offered through Securities America Advisors Inc. Timothy J. Aguillard, Representative Integrated Financial Management, LLC and the Securities America companies are unaffiliated.